One of the limitations of using Dry Weather Flow (DWF) in SWMM 5 and InfoSWMM is that the same DWF pattern is repeated every 24 hours for either a Weekday or Weekend. This pattern can be changed by multiplying by the Daily and/or Monthly pattern but the same core hourly pattern stays the same. There is an alternative, however, and the alternative is to use a time series over a period of days or weeks that matches either your monitored data or a weekly dry weather pattern. Here is an example of how this is used. The base DWF pattern is over a 24 hour period (Figure 1). 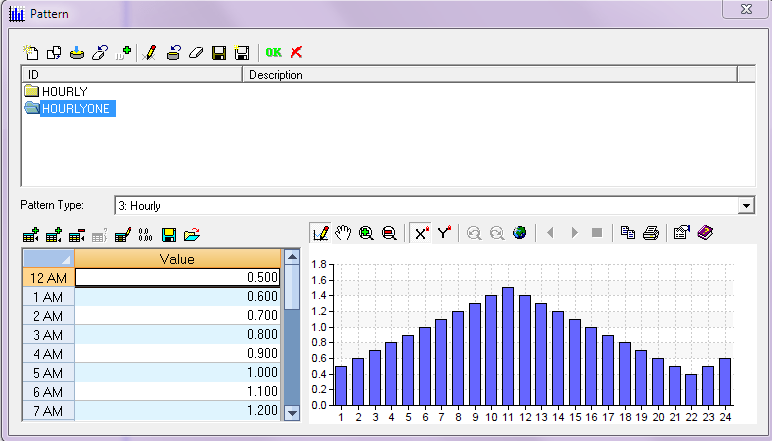 The two day result is copied from the InfoSWMM report manager and applied as a multiple day pattern in the time series editor (Figure 2). 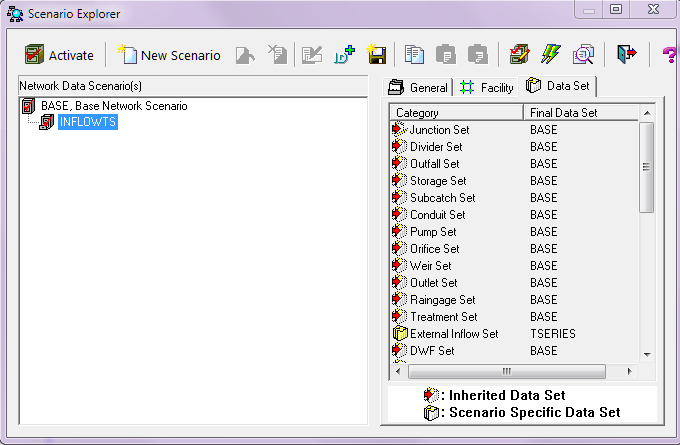 The Scenario Manager of InfoSWMM allows two runs: (1) DWF Pattern only and (2) DWF Pattern + Time Series for Two Days (Figure 3). The Output Report Manager of InfoSWMM shows that the Inflow Time Series + DWF is twice the DWF only (Figure 4). It shows that the the multiple day pattern is the same as the DWF pattern for two days. Figure 1. DWF Pattern for 24 hours at one hour intervals. Figure 2. 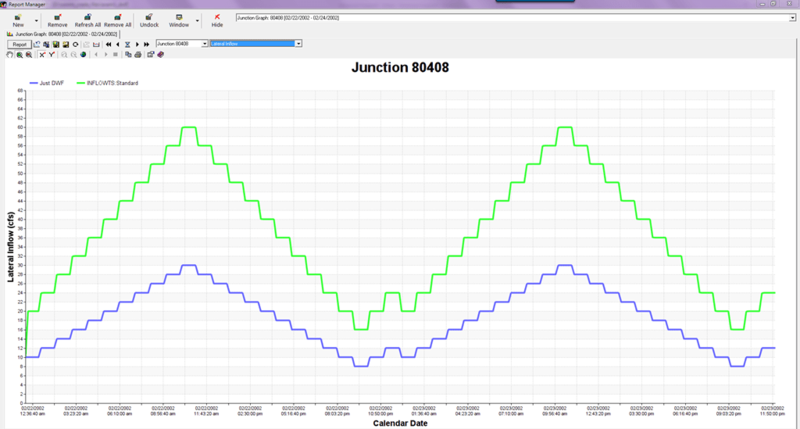 DWF Pattern Applied or Copied to the Time Series Editor. Figure 4. The end result in the InfoSWMM Output Report Manger is twice the DWF due to the Hourly DWF Pattern + The Inflow Time Series at the Node.